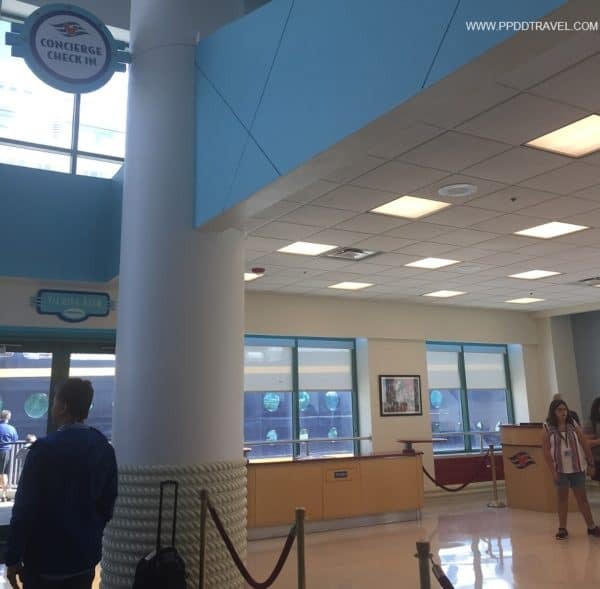 Disney Cruise Line has literally thought of everything when it comes to ensuring your family has the best comfort and convenience during your sailing. 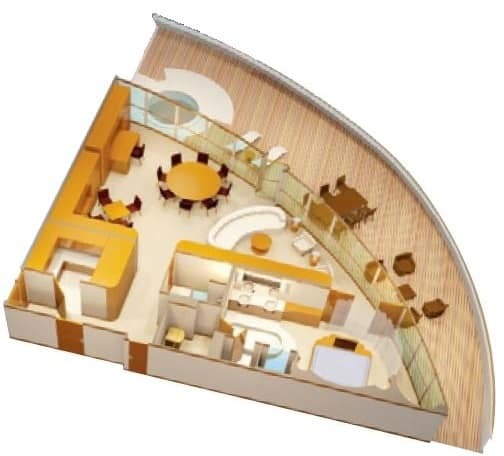 As you can see in the layout, there is a separate sitting area from the master bedroom. 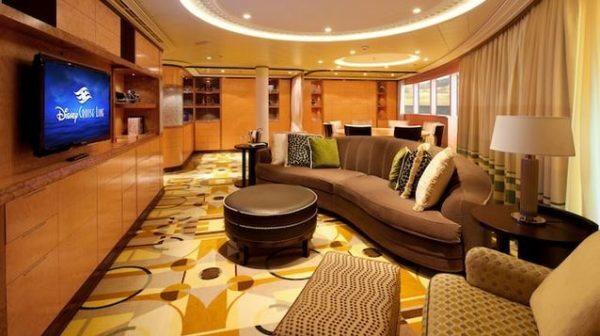 In this living room, there are 2 wall pull-down beds. With a pantry and wet bar stocked with water and sodas, and being located next to the concierge lounge, this dining area is perfect for the family to relax around! 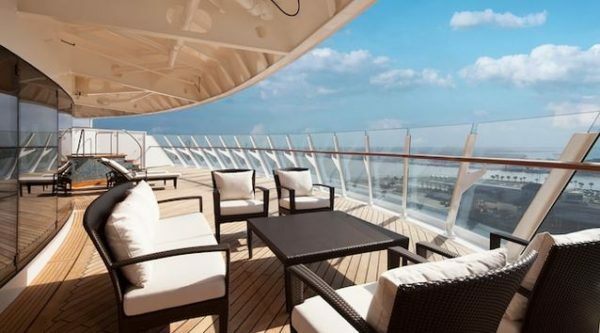 These enormous private verandahs boasts some of the best views of the entire ship. 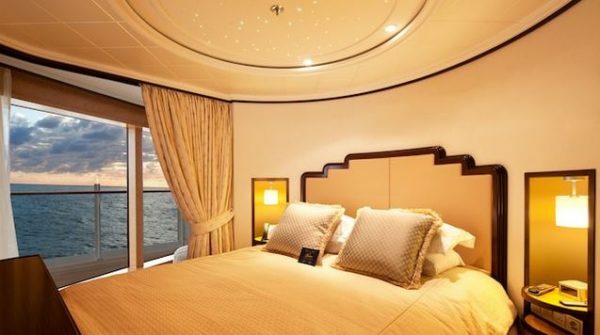 If that wasn’t enough, you can enjoy those views from your own whirlpool tub! 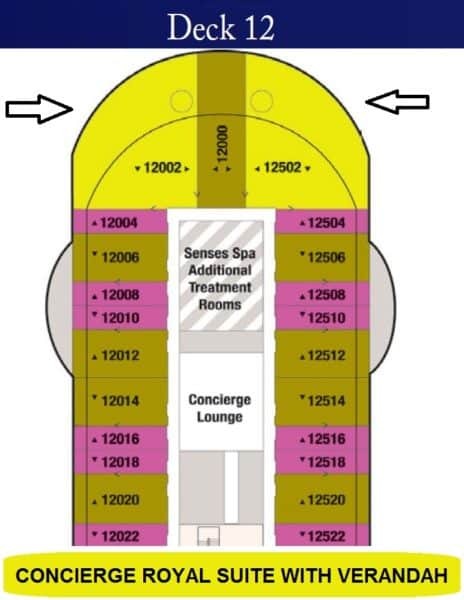 The 2 Concierge Royal Suites are only located on deck 12 next to the Concierge Lounge and Senses Spa and Salon. 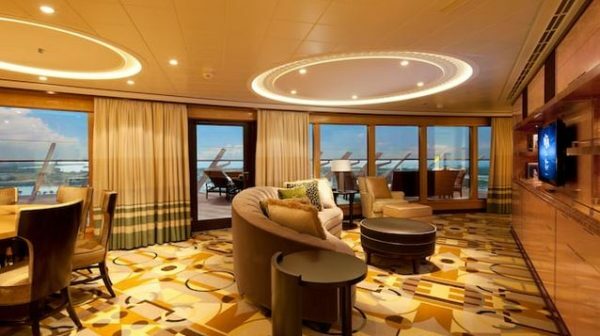 Concierge guests enjoy exclusive access to dedicated areas on the ship which include the Concierge Lounge and a sun deck with a private entrance. 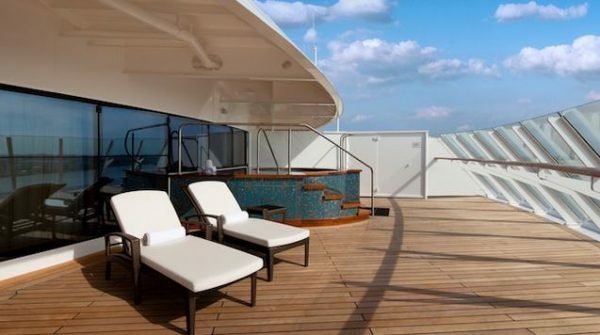 These amenities come with complimentary food and beverages offered throughout the day. 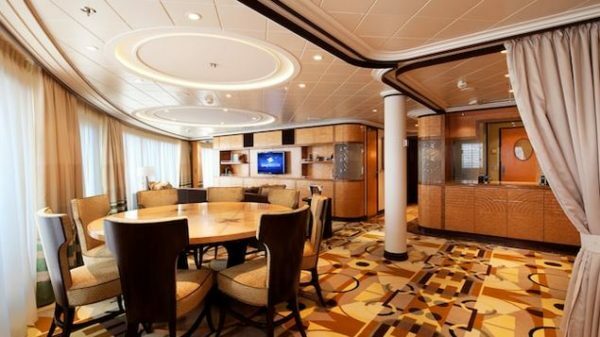 You can also experience in-suite dining from any of the rotational restaurants.